A customer favorite! A woodsy, incense-like, resinous scent. 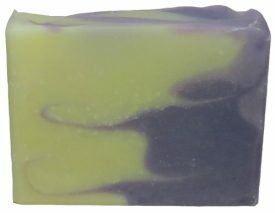 Just like the incense that is famous for this name, the earthy, exotic aroma of our Nag Champa fragranced soap smells absolutely heavenly! Just set a bar in the room for an instant room freshener or place in your dresser drawer to infuse the scent into your clothing. 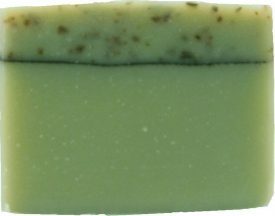 Organic coconut oil and Fair-Trade shea butter create a super-rich creamy lather and make this bar extra moisturizing. You’ll love both the creamy luscious feel of the lather AND the sensuous exotic scent…let yourself indulge! 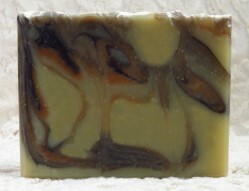 4.5 – 5 oz size bar fits generously in your palm! 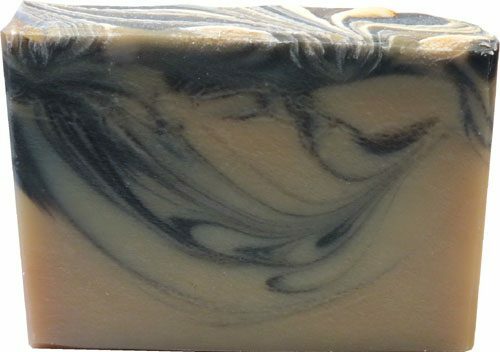 Saponified oils of organic olea europaea (olive), organic cocos nucifera (coconut), organic palm, organic fair-trade butyrospermum parkii (shea butter), persea gratissima avocado, and organic ricinus communis (castor) oil, charcoal, fragrance, raw silk fibers. This is my favorite. It is the best nag champa, woodsy, simply magical. Wow, sold out again!!! It’s one of my favorite soaps. 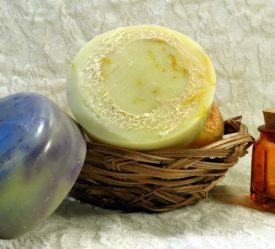 I first tried the nag champa organic soap back in the fall. The scent is absolutely wonderful especially if you prefer strong “exotic” aromas, that lingers throughout the day.